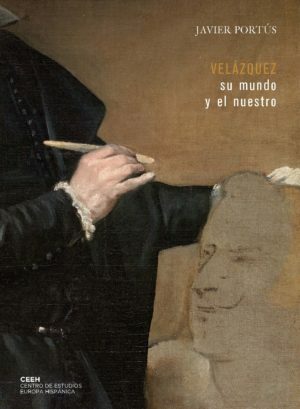 This book studies the life, work and significance of Velázquez through a broad variety of approaches and themes ranging from the first stage of his career and the problems of attribution posed by two pictures related to this period to the reception of his painting. Artists, critics, historians, writers, museum specialists and anonymous viewers parade through its pages to explain the place the Sevillian artist occupied in the imaginary of western culture. Velázquez devoted most of his efforts to court portraiture, which is analysed here from the point of view of the representational formulas he progressively adopted, always as a compromise between aesthetic challenges, ceremonial culture of the period, political ideals, tradition, and the expectations aroused by the depiction of the king and his entourage. Between portrait and portrait, the Sevillian approached “history painting”, a field in which he displayed an extraordinary originality through complex stories constructed using a different and original technique. It was here that he expressed most explicitly his stance towards pictorial tradition and the role he wished to play in it. Through the fourteen texts that make up this volume, the author presents one of the most discerning recent reflections on the figure of Velázquez and the significance of his oeuvre. Javier Portús is senior curator of Spanish Painting (up to 1700) at the Museo del Prado. He holds a doctorate in Art History and specializes in art historiography and the visual culture of the Golden Age in Spain. Among other studies, he is the author of La sala reservada del Museo del Prado y el coleccionismo de pintura de desnudo en la corte española (1998), Pintura y pensamiento en la España de Lope de Vega (1999), El concepto de pintura española (2012) or Metapintura. Un viaje a la idea del arte en España (2016). Portús has curated several exhibitions, such as El retrato español: del Greco a Picasso (2004), Fábulas de Velázquez: mitología e Historia Sagrada en el Siglo de Oro (2008) or Velázquez y la familia de Felipe IV (2013-2014), all at the Museo del Prado.